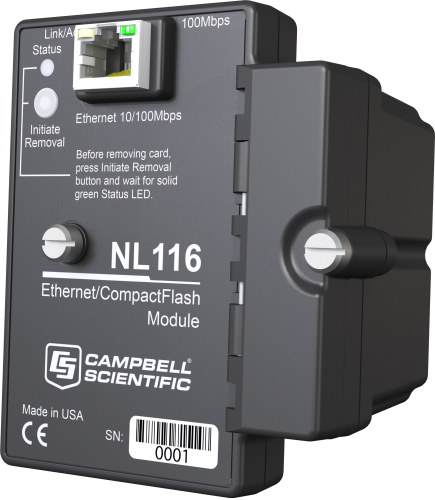 Campbell Scientific offers complete Ethernet connectivity solutions for our data acquisition needs. Data loggers are available with integrated Ethernet, as well as stand-alone Ethernet modules. 28898 CAT6 Ethernet Unshielded Cable with RJ45 Connectors, 6 in. Does Campbell Scientific support IPv6 networking? Yes. We currently have, and continue to develop, a variety of products that are compatible with IPv6 networking. For example, the NL200/201 and NL240 can serve as IPv6 serial servers for our data loggers and communications peripherals. We anticipate IPv6 compatibility to be included in the CR800, CR850, CR1000, and CR3000 by mid-2014.